Chiropractic news we want to share with you! Custom Orthotics made to correct your fallen arches. a condition commonly known as knock-knees. This abnormal placement of the knees then shifts the angle where the thigh bone meets the pelvis, resulting in an unsteady hip posture that also destabilizes the spine. 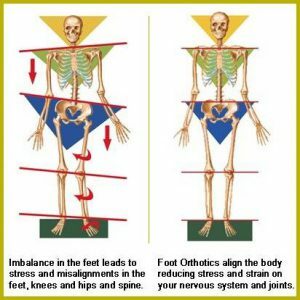 The result is a domino effect that starts at the feet, works its way up the leg and into the pelvis and spine. 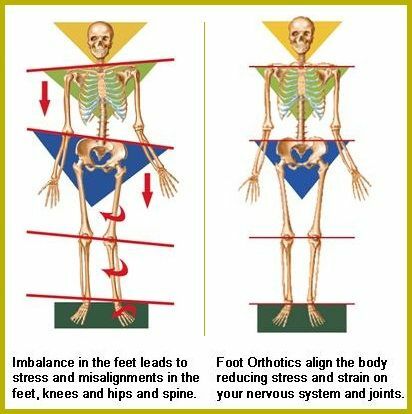 Walking and standing with the feet, legs, hips, and spine constantly out of alignment can contribute to back pain. Save yourself hundreds of dollars. Dr. Lincoln will be scan your feet free of charge and review the results of your scan. These are not “Off-the-Shelf Dr. Scholl’s” orthotics. These are custom made based on scan of your foot. 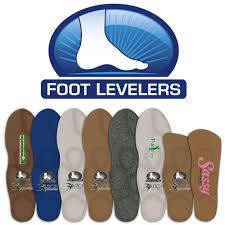 They are high quality long lasting orthotics.